The Chicago Region is auctioning off an original piece of artwork from their private collection. 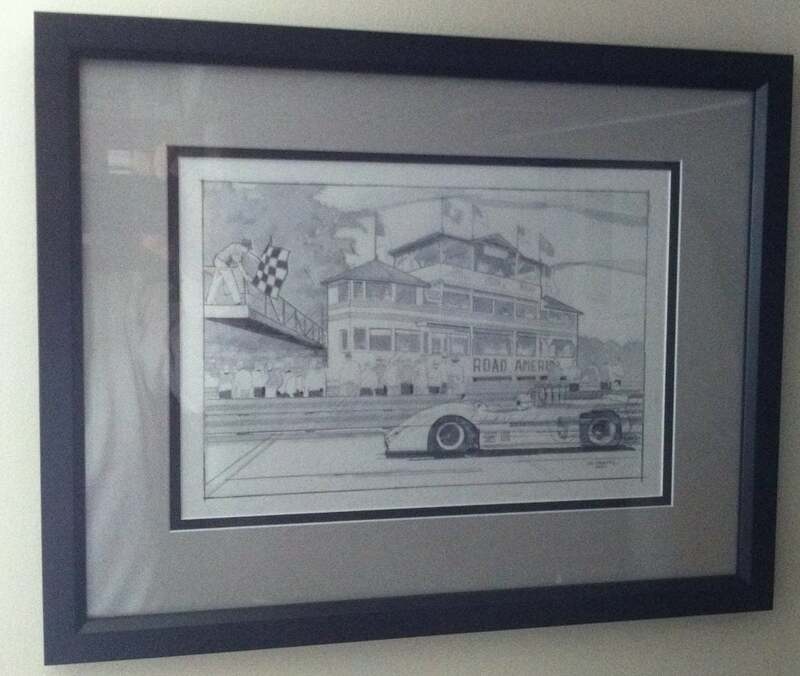 At this years Checkered Flag Party, February 16ththe Region is offering a one of a kind, pencil sketch drawn and signed by automotive / racing artist Jim Swintel. This piece was the last draft sketch of the 2017 painting “The Pagoda” that Jim painted for the Region and was printed on that years June Sprints®tee-shirt. This sketch drawn on parchment paper is unique from the finished painting with many subtle differences. With the long loved Road America Pagoda as subject of this piece as Denny Hulme takes the checkered flag at the 1968 CanAm race, is truly a one of a kind. Now it’s your opportunity to add it to your collection. There will be a silent auction during the Checkered Flag Party where attendees can place their bids and compete for this prize. All profits from this auction will go to a charity to be named at the event. If you want an opportunity to bid on this prized piece of artwork there is still time to register for the checkered Flag Party only on MotorsportReg. So don’t delay register today.